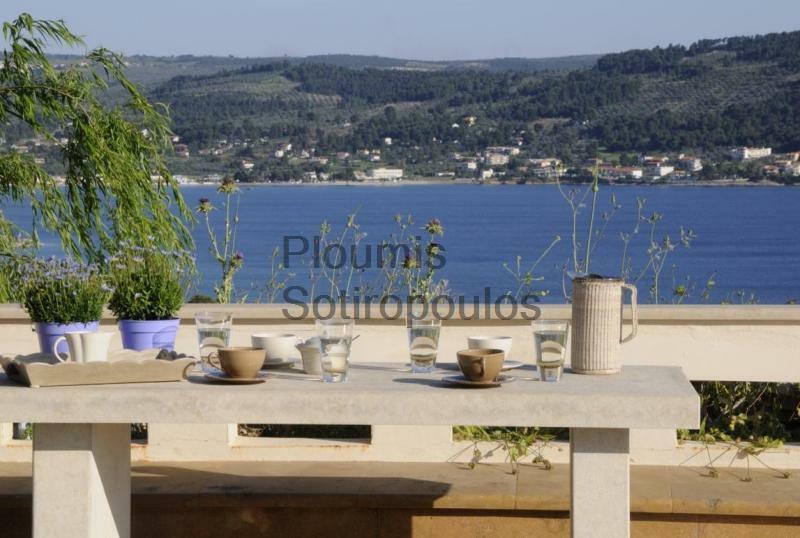 Only a short distance from the quiet harbor of Theologos, this beautiful villa of 232m² was built in 2011 and enjoys an open view to the sea and easy access to the beach. The house features a living room with a fireplace, a dining room, an open-plan fully equipped kitchen, WC, four good size bedrooms with bathrooms, a laundry room and storage space. All rooms lead to balconies and terraces with endless sea views. The garden measures 1.051m² and features a swimming pool (8.50m x 5m) with a Jacuzzi, open patios and a beautiful space for al fresco dining with a built-in barbeque. Only 150 kilometers from Athens International airport, this contemporary home combines an easily accessible location with peacefulness, relaxation, and breathtaking views to the sunset.